There is still time to get in the 2014 TVA Green Power Providers program which allows 4 MW of residential solar projects and 6 MW of commercial solar projects. As of June 9th, 120 kW of residential capacity is still available. TVA will maintain a 30% wait list as projects in the reserved capacity drop out. For commercial projects, 100% of capacity is already reserved, but a portion of the wait list is still available. Get on the waitlist today! Once 30% wait lists are full, the program will close for the rest of the year. 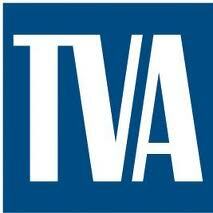 TVA is no longer accepting applications under 2014’s Solar Solutions Initiative for projects 50kW-1MW. Program is 100% reserved, and we expect it to reopen in 2015. Contact us today if you are interested in building a solar project in 2014! Time and program capacity is limited! Memphis Bioworks is launching Memphis Civic Solar, a project for the City of Memphis that will install 1.5 Megawatts of solar energy spread across 30 different municipal buildings in neighborhoods throughout Memphis. When completed, Civic Solar will be one of the largest municipal solar projects in the nation, positioning Memphis as a national leader in sustainability and creating positive and measurable environmental, economic and social benefits for the citizens of Memphis. Donations for this project are to Memphis Bioworks, a 501(c)(3) non-profit organization, to raise a small percentage of project funds – a little more than 1% of the overall budget – as seed capital to launch the project. After our initial seed capital is raised, the overall project will become self-funding and sustainable and will not utilize any taxpayer money. To learn more and to help support Memphis Civic Solar with a donation of time or funding, please visit https://www.ioby.org/project/memphis-civic-solar.